The US Department of Transportation (DOT) has announced its decision to grant antitrust immunity to the proposed joint alliance between Virgin Australia and Delta Air Lines. After initially rejected the proposed alliance, approval has been granted after the airlines made changes to their submission to the DOT. The anti-trust immunity will enable both airline groups to cooperate on route, schedule and product planning initiatives. The two airline groups already have a limited codeshare partnership. “Antitrust immunity will enable Virgin Australia and Delta to deliver a more attractive and competitive service for travellers in Australia and North America,” Virgin Australia CEO John Borghetti said. “The Delta alliance is a key plank in Virgin Australia’s strategy to build an international network of airline partners that offers global coverage. 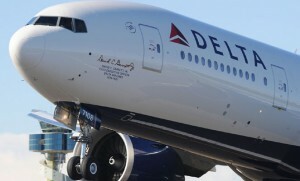 Guests on our award-winning international airline V Australia will be able to connect seamlessly to Delta’s extensive network of over 200 destinations in North America, including Canada and Mexico, and earn frequent flyer points in the process,” he said. Delta CEO Richard Anderson agreed, adding that the DOT’s proposal to grant anti trust immunity “opens the doors to an expanded network that will make travel between and within the US and Australia easier and more convenient for our customers”.